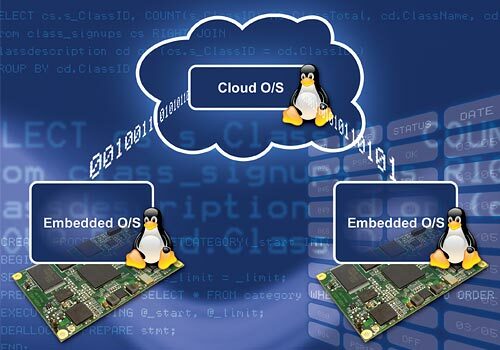 Combining Forces: Embedded Linux + Cloud Linux. In addition to the DIL/NetPC embedded operating system, a cloud operating system will be offered as an option for selected modules. This operating system is used on a root server on the Internet. Both operating systems are interconnected to form a distributed system. Please see press release for more information. New ADNP/9200 Application. 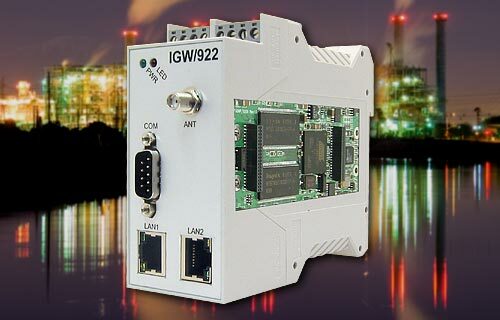 The IGW/922 is a remote access gateway or wireless industrial router. There are three different versions available: 1. IGW/922: 2 x 10/100 Ethernet, 1 x RS232/RS485, 1 x RS232. 2. IGW/922-G: Same as IGW/922 plus internal GSM/GPRS wireless modem. 3. 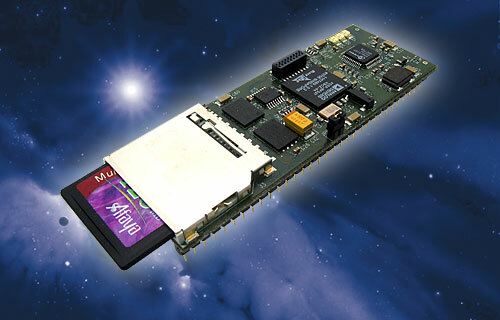 IGW/922-U: Same as IGW/922 plus internal UMTS/HSPA wireless modem. SSV/ECC: Embedded Systems and Cloud Computing. 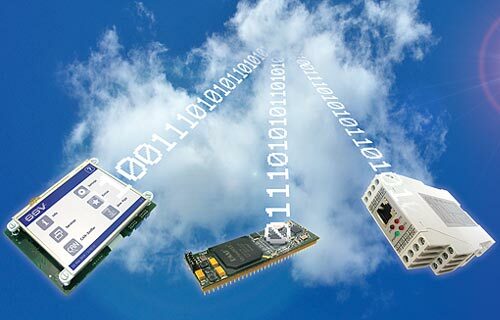 Cloud-based web services expand the standard functions of an embedded system over the internet. The access to the additional functions takes place by using an API (Application Programming Interface) directly from the embedded client software. The DIL/NetPC modules with preinstalled embedded cloud computing (SSV/ECC) client functions are available with no extra charge from Q4/2009. As cloud services fee required templates are available to the user which can be performed in the data centres of Amazon (EC2), Google (App Engine) or Microsoft (Windows Azure). See also the SSV/ECC for more details. DNP/2486 with Debian Linux and Java 6 RTE. The DIL/NetPC DNP/2486 provides a very powerful 32-bit x86/IA-32-based embedded PC architecture with 1 GByte NAND flash for complex embedded network applications. The DNP/2486 is available with pre-installed Debian GNU/Linux and J2SE RTE. See also the DNP/2486 Home Page for details. Mod/Zbee1 IEEE802.15.4/ZigBee mesh networking modem available. The Mod/Zbee1 allows the setup of an Ethernet-to-PAN (Personal Area Network) gateway within minutes. See also the DNP/9200 RAK Home Page and the Mod/Zbee1 Hardware Reference Manual for more details. 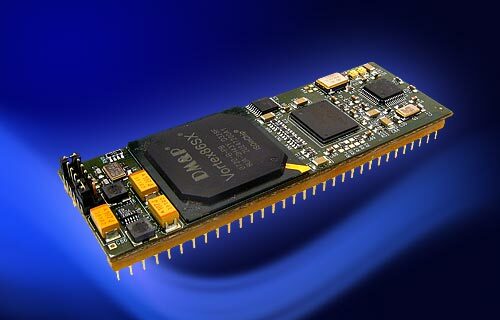 DIL/NetPC DNP/5370 with 600 MHz Backfin available. 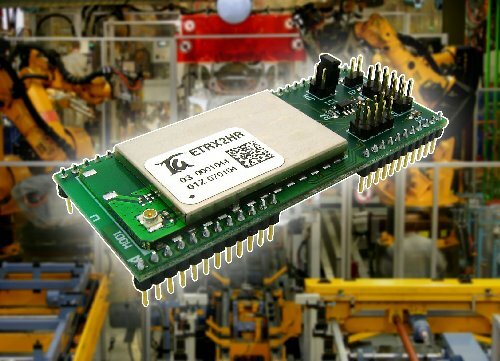 The DIL/NetPC DNP/5370 provides a very compact Analog Devices BF537 32-bit Backfin-based low power embedded controller with TCP/IP stack, web server, Telnet server, TFTP client and FTP server for embedded networking with Ethernet and CAN connectivity in industrial and laboratory environments. See also DNP/5370 Product Information for more details. DIL/NetPC ADNP/9200 with Wi-Fi expansion available. 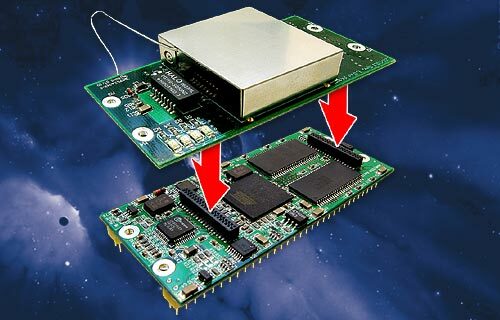 The E2W/ESL1 Wi-Fi expansion board fits into the ADNP/9200 two-part ESL connector. The E2W/ESL1 supports IEEE 802.11b and IEEE 802.11g wireless networks. See also the E2W/ESL1 Hardware Reference for details. DIL/NetPC-based Industrial Ethernet Gateways. 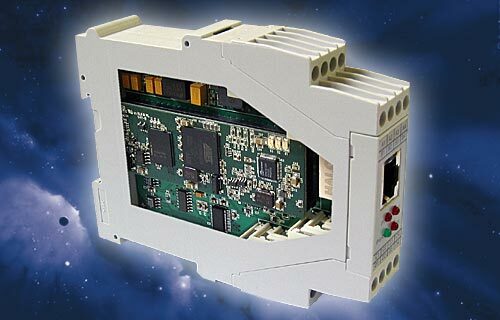 For OEMs we offer industrial Ethernet gateway platform kits. 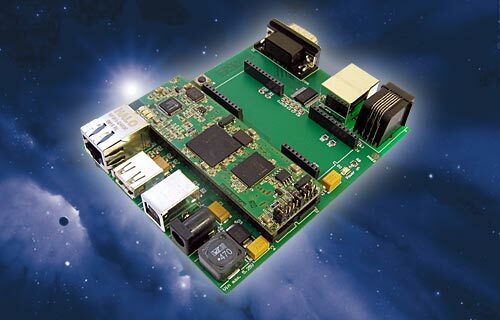 These kits contain schematics, BOM and an embedded Linux port with Web-based user interface for gateways applications. Ask kge@ist1.de for more information. DNP/9200 Router Application Kit (RAK) available. The RAK consist of a DNP/9200 and the DNP/EVA12. The DNP/EVA12 offers a socket for analogue, ISDN, and GSM/GPRS modems. The RAK firmware comes with a web-based user interface. Ask for more information: kge@ist1.de. See also: How to install the DNP/9200 Router Application Kit (RAK) Firmware, and the DNP/EVA8 Hardware Reference Manual. eCos for DNP/9200 now available. eCos is an open source, royalty-free, real-time operating system designed for deeply embedded applications. The highly configurable nature of eCos allows the operating system to be customised to precise application requirements, delivering the best possible run-time performance and an optimised hardware resource footprint. 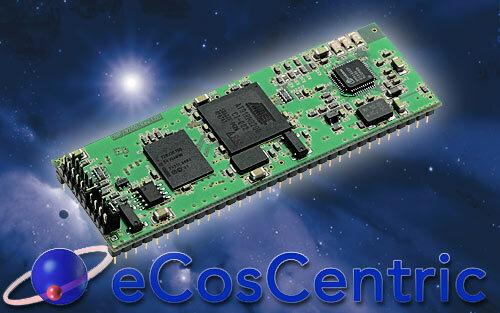 The DNP/9200 eCos is available from eCosCentric. Please visit eCosCentric for more details. SSV EMBEDDED SYSTEMS. Board Level Products. Copyight (c) 1996 - 2012 SSV and KDW.